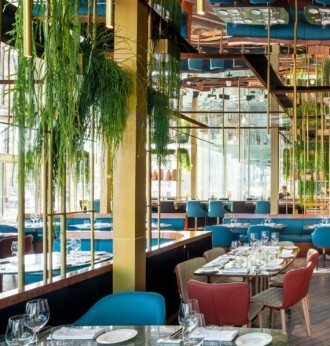 Open and flexible: The Design Studio Graven has kept the atmosphere in the hotel relaxed and playful. 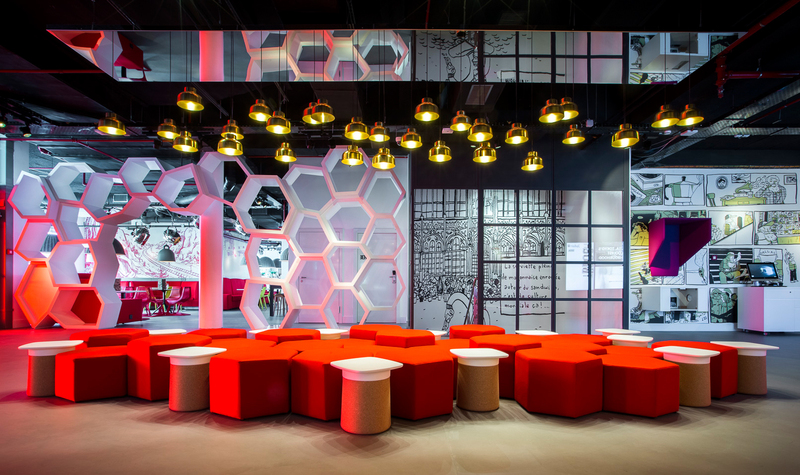 Pretty in red: Design studio Graven created the look of the “Radisson Red” city hotel in Brussels’ European Quarter. 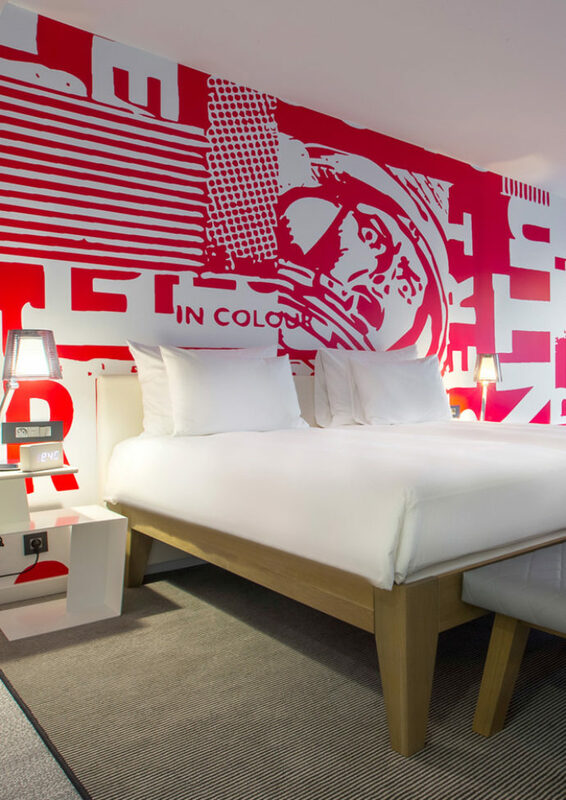 The hotel comprises 149 studios realized in three different ways with a casual and playful atmosphere: Referencing the city’s long history of comic illustration, part of the walls and furniture are adorned with large format drawings by comic book artists Wauter Mannaert and Max De Radigues. 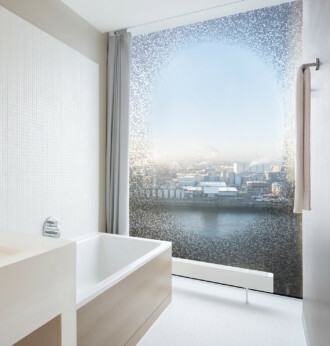 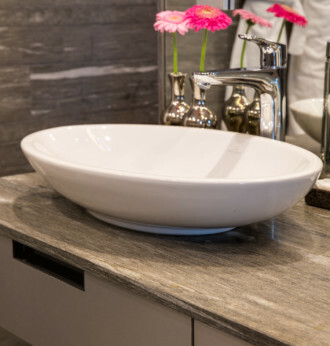 The bathroom walls feature mosaic tiles arranged to form melon and apple shapes – a tongue-in-cheek allusion to the work of Belgian painter René Magritte. 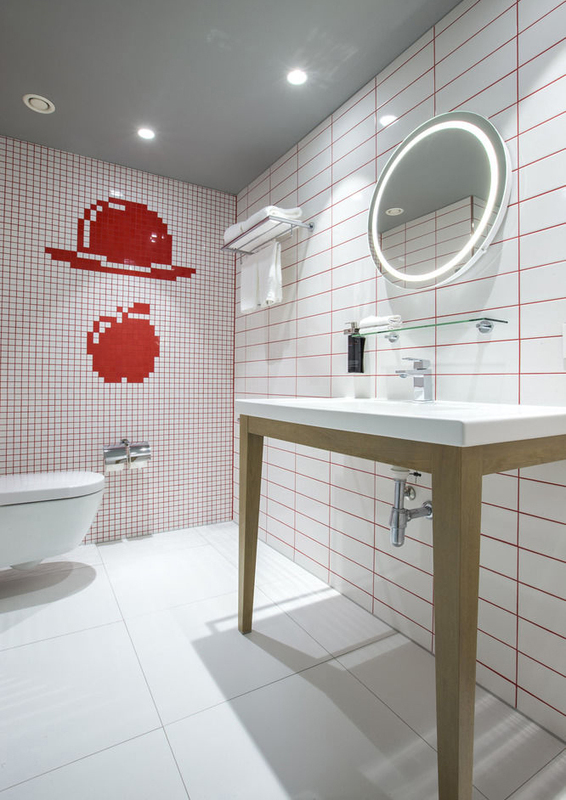 City of Comics: The rooms of the city hotel in Brussels are adorned with drawings by comic book artists Wauter Mannaert and Max De Radigues. 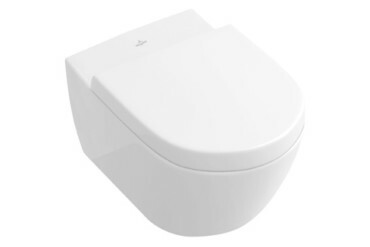 Ultra-flat, rimless shower trays from the “Architecture MetalRim” series by Villeroy & Boch, as well as rimless “Subway 2.0” toilets guarantee a clear formal language. 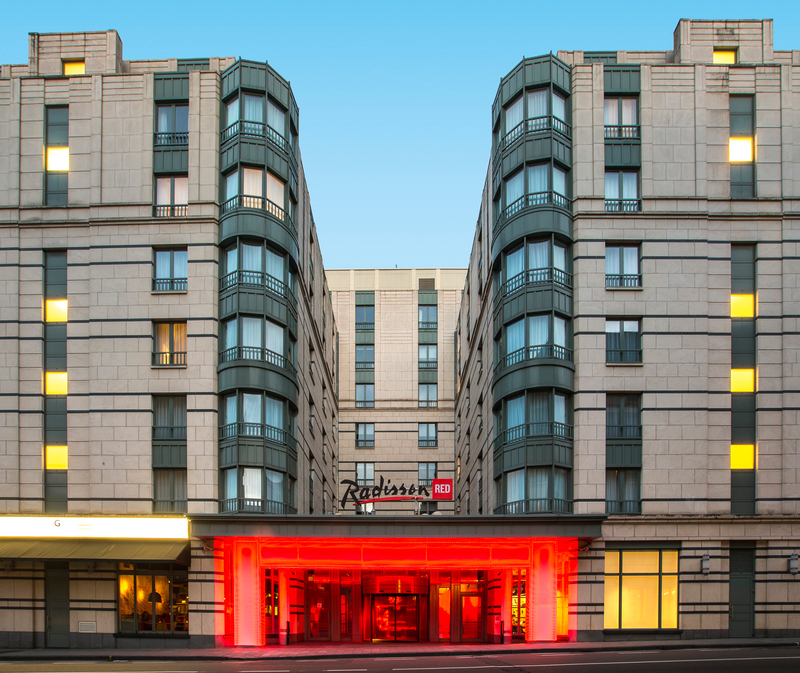 Clearly visible: Even the entrance to the "Radisson Red" city hotel in Brussels places a clear focus on the color red.